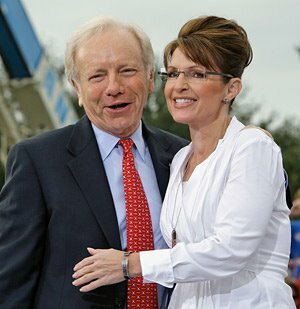 Senator Joseph Lieberman (I-CT) announced Tuesday that he would not seek reelection in 2012, and progressive Americans breathed a sigh of collective relief. 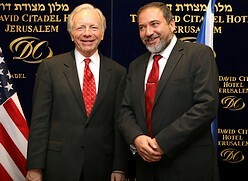 It is worth reviewing the most horrible things Lieberman has done to us since he has been in office. 10. Undermined Jeffersonian ideals by joining with George W. Bush to throw government money to religious organizations. 9. Revived, with Lynn Cheney, McCarthyite techniques in order to harass and intimidate university professors who dared attempt to explain the historical and political context for the rise of al-Qaeda and its attacks on the United States. He even put out a blacklist of 40 university professors and administrators, including the President of Wesleyan University. 8. 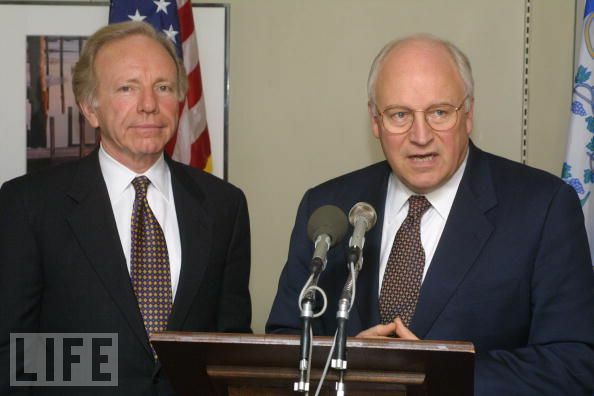 In 2004, revived the war-mongering, militarizing, anti-progressive ‘Committee on the Present Danger‘ to fight the anti-war movement and keep the US in Iraq, as well as to promote war on Iran. 7. Deprived Democrats of the votes to pass a single-payer option universal health care law, acting as client of big Medicine instead of looking out for ordinary people. 6. 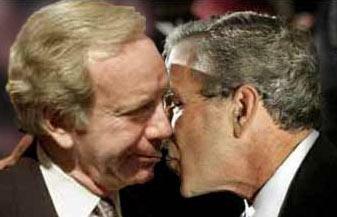 Called Israeli’s pre-planned aussault on defenseless little Gaza in 2008-2009 “self defense” on Israel’s part. 5. Intimidated Amazon into ceasing to allow Wikileaks to be hosted on its servers, even though Wikileaks is not proven to have done anything illegal. Urged that Wikileaks founder Julian Assange be prosecuted for espionage. 4. Urged prosecution of the New York Times for publishing US State Department cables given to the NYT by Wikileaks, despite the precedent of the Pentagon Papers. 3. Joined, in 2002, the Neoconservative ‘Committee for the Liberation of Iraq’ to get up a war of aggression on that country on false pretenses. His war killed hundreds of thousands of Iraqis and over 4000 US troops, threw Iraq into long-term instability, and made Iran a regional superpower. 2. 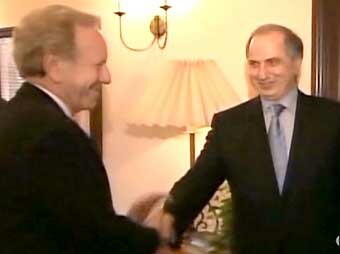 Repeatedly called from 2006 for aggression against Iran by the US Air Force.